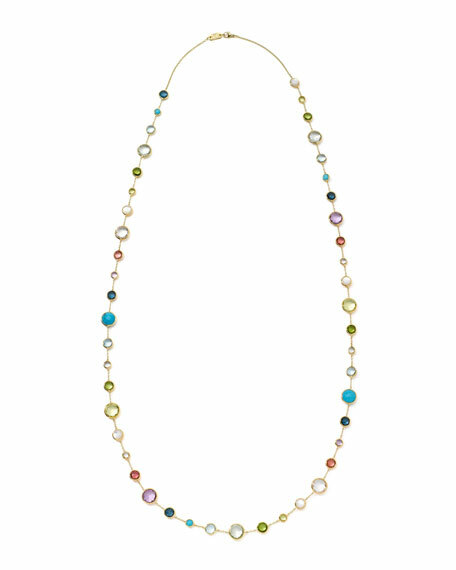 Ippolita 18k Gold Rock Candy Lollitini Necklace in Multi, 36"
Ippolita18k Gold Rock Candy Lollitini Necklace in Multi, 36"
This gold Ippolita necklace leaves a lasting impression with perfectly paired stones, intense facets, and rich hues. Stations vary in size and shape: clear quartz, amethyst, blue topaz, green gold citrine, mother-of-pearl, London blue topaz, peridot, pink tourmaline, green amethyst, and turquoise. 36"L; may be worm doubled. 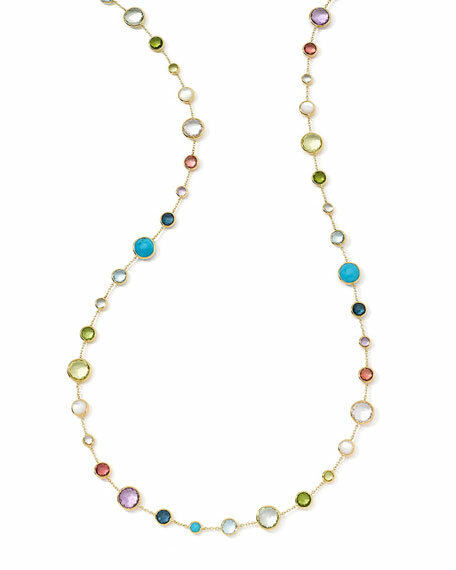 Ippolita necklace, from the Glamazon Collection. 18-karat yellow gold cable chain with hand-hammered stations. Lobster clasp. 36"L. Made in Italy.